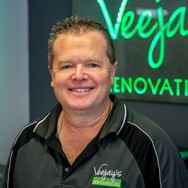 Veejay’s has been renovating Perth kitchens, bathrooms and laundries since 1989. Our showroom is located in Malaga, and it’s where you’ll find one of Perth’s largest displays of complete kitchens, bathrooms and laundries. 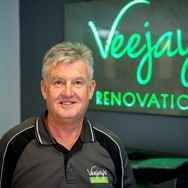 Veejay’s offer complete renovation solutions – turning ideas into designs, into fully functional and beautifully crafted kitchens, bathrooms and laundries. We understand that the renovation process can be daunting, especially when it comes to choosing the right colours and styles to match your home. That’s why we provide a unique colour selection room, where clients can mix and match full size bench tops with full size door samples, and view various colour and style combinations. At our Malaga showroom, we also have an extensive selection of up-to-date products; a large range of granite, acrylic, quartz and laminate surfaces, plus vinyl, painted, laminated and solid timber door options. If you’re thinking about renovating your kitchen, bathroom and/or laundry, we invite you to visit our award-winning showroom in Malaga, or you can view our display at Homebase Expo in Subiaco. For more information or to arrange a consultation, contact us on (08) 9249 6886. 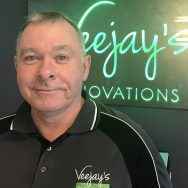 Mark started working at Veejays in 1995 as a fully qualified Cabinet Maker, quickly moving into a senior role within a few years, Mark then took on a partnership with Veejays and is now the Managing Director. 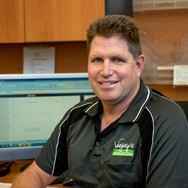 David has many years’ experience in the renovation industry overseeing the bathroom division. He prepares quotes and works closely with clients to turn their visions into reality. He is skilled at designing bathrooms where the colours, tile selection, borders, vanity units and fittings all work together for a stunning overall effect. 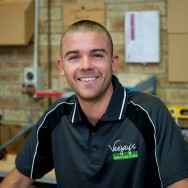 With over 20 years experience in the Cabinet Making Industry he comes with great expertise in Renovating. Gary will undertake any task big or small, making sure your job is checkmeasured and scheduled correctly and efficiently making sure all stages of the renovation run smoothly. And tradesman, this making sure the job gets done on time and to plan. Nothing is ever too much trouble! 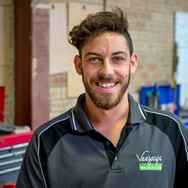 Jim started at Veejays when he was just 16 yrs old and has taken to his job extremely well, therefore progressing into Factory Foreman. Jim is a fantastic Cabinet Maker who runs a very tight ship in the factory, making sure quality is of the highest standard. 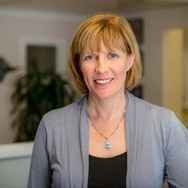 Judy is our Office Manager who is very clever with all accounting requirements, making sure the office run smoothly and efficiently, also keeping the client well informed in all stages of administration. Andrea arrived from the UK in early 2013. 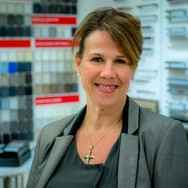 Andrea has over 27 years experience in Kitchen and Bathroom design , working in both the UK and the USA , therefore coming to Veejays with the latest overseas trends. 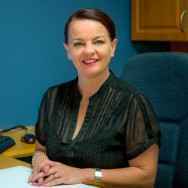 Wendy joined Veejay's Renovations in 2012 having completed a Diploma in Interior Design, Cert.1V Bathroom Design and Stage 1 Kitchen Design, along with 5 years industry experience. Wendy's strengths include the ability to visualise enhanced layouts, clever use of colour and attention to fine detail, her style extends from Contemporary to Hampton with a flair for Industrial. 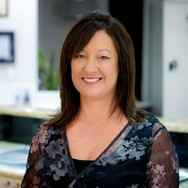 Wendy's talent for design is backed with excellent customer service from start to finish. 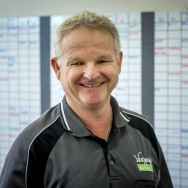 Paul originally started with Veejay's Renovations as a Tiler in 2014, Paul has been in the building industry since 1980 , going back in 2010 to full time study gaining a Cert 1v in Residential drafting and a Diploma in Building design technology. Paul has won awards in Architectural Design and was a national finalist in 2012, also winning HIA awards for multiple Tiling projects. Paul has come to Veejay's full of qualifications and knowledge and really has found his passion in Design and loves working alongside clients to help them create functional and creative spaces. Mike has a very keen eye for detail and symmetry, making sure the client gets what they ordered and visualised. 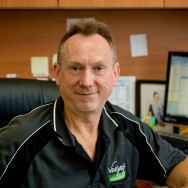 Mike has been with Veejays for over 15 years, so he has a wealth of knowledge within the industry. Simone came to Veejays as a fill in for a day in 2006 and we couldn’t let her go, she has a good eye for colour and knowledge of products when clients visit the Showroom. Simone has also taken on the entire advertising and marketing for Veejays, which she loves. 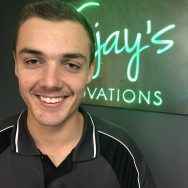 Callan came to Veejays in 2010 and has progressed to “Leading hand” finishing his apprenticeship in 2014, Callan is a true craftsman who takes pride in his work. 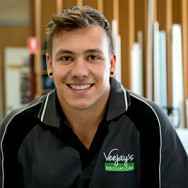 Beau is a very hard worker and is determined to become a top tradesman, Beau has also been nominated for Apprentice of the year in 2016 by his Tafe teacher, which was a great achievement. then to working in the school holidays. 3 year cabinet making certificate.